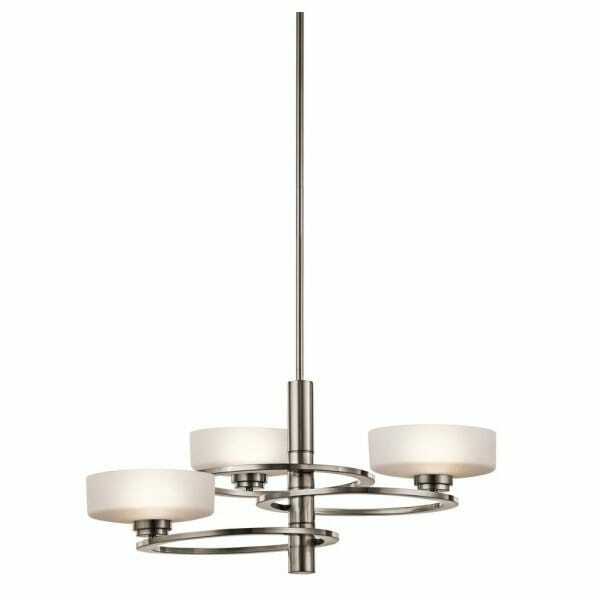 Geometric mid century influenced light fitting 'Aleeka' oval shaped glass shades held on concentric rings spiral around a slim pole. It's very sculptural, a visual delight. With quality material pewter metal and white opal teamed with precise workmanship makes this a light that will stand the test of time. Other Features: Supplied with 2 x 150mm & 2 x 300mm rods.